When I talk about curriculum, I think of it as lessons that tell the story of learning. In the English language arts classroom, we tell the stories of our people through literature and help students chronicle their own lives, communicating their learning through their writing. We write with narrative, with analysis, and with argument. In history class, we tell the stories of our past events and how we can learn from the lessons that came before us, and thus influence our future. Students write of primary resources, of research, biographies, and prediction. In science class, we explore the stories that our micro- and macro-reality, our nature, and our planet want us to know. Students write lab reports proving hypotheses and records of those who discovered, invented, and created. Math, however, always seems to be a core outlier. But I would argue that math also has a story to tell. Math can tell the story of the logic that surrounds us, of the data and statistics that can be used to prove our theories and predictions. All subjects are related. They braid and weave, individual lessons supporting each other and proving that real life is not segregated and that content is really blended. But secondary teachers are trained and then quickly categorized by subject area credential, and as such, our muscles to integrate subjects can become weaker and more atrophied. One way to combat this is to incorporate writing into all of the subjects. Writing is a universal thread that can unite all content areas. It is a fundamental skill of communication (as is speaking, but that's for a later post), and it can be a common skill that all classes require. If the character Jeffrey Lebowski (a.k.a. "The Dude") from the film, The Big Lebowski were a teacher, I'd think he'd agree that, like the perfect area rug, writing "ties the room together." But back to math. We ask our math teachers to have students "justify" a frustrating request according to those who don't see what there is to justify about why 2 + 2 = 4. But there can be more to writing in math than mere justification. So I spoke to John Ewing from Math for America (MfA) to get some advice for math teachers in how to incorporate writing into their lessons. For those who don't know, Math for America is an organization that has sites in seven locations; the largest is in NYC and has nearly 800 teachers. Their goal to help attract and keep great teachers in the profession and, as Ewing explained, "to provide a rich experience of workshops (many designed and run by the teachers), mini-courses, and professional gatherings" for the fellows selected to be a part of the program. Teaching is a true profession. "We have enormous respect for teachers as mathematicians and scientists. Master teachers grapple with ideas that are central to their discipline at advanced levels." Great teachers are always learning. "The best teachers strive to improve continually in three areas: their depth of content knowledge, their expertise in the craft of teaching, and their ability to know and teach to the strengths of every student in their classrooms." Excellence comes out of deep collaboration and ongoing growth. "Great teachers need time, space, and opportunity to work with fellow experts to keep growing throughout their careers. They come together as a community to exchange ideas and challenge each other." Honoring greatness elevates the profession. "When we celebrate, promote, and advocate for the best teachers today, we raise the prestige of the whole profession and attract the best possible candidates to a career in the classroom." So here's my takeaway: Keep learning. Learn more about math and more about other subject areas that help benefit your students, and find others to learn from often and throughout your life. We can't stop learning even as we are teachers -- especially because we are teachers. If you currently do no writing in the math class, start with just one sentence. When you ask a question, rather than just having students raise hands and you picking one volunteer, have every student in the class write a sentence. 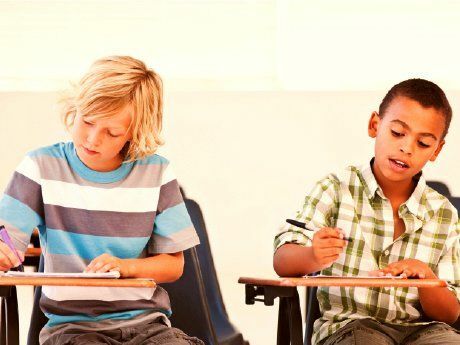 This way, students can be active and can get the feel of writing about math. Have students read articles from Math Horizons or Martin Gardner's Scientific American columns. When students get a feel for what writing about math can look like, they will be able to do it better themselves. In their math journals, students can write about things they are having trouble with or things that they've figured out. Putting these thoughts into words can help students get a more concrete handle on the logic of their ideas. To understand the writing process, teachers have to write also. Start by writing about your family or yourself. Get "uncomfortable" as you try to make your writing efficient and interesting. Just as students are uncomfortable doing unfamiliar math, teachers should experience that same feeling of being out of their comfort zone, and writing is a good way to do that. My takeaway is this: just jump in and start. Put the pen to hand or the fingers on the keyboard and start writing. Write about the math that's confusing or write about that "eureka!" moment that led to a solution. Have your students write, sure, but you write, too. "They can learn about how to break large abstract concepts into smaller concrete blocks. 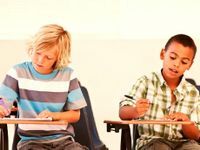 In trying to teach a big idea, math teachers often identify the essence of the problem and create the simplest possible questions that allow students to practice that skill." On the other hand, Rubinstein said, "STEM teachers can learn the opposite from English language arts teachers. Sometimes a math teacher makes the learning units so small and concrete that the students don't get the opportunity to see the big picture and to figure out for themselves what the essential elements are." The key concept here is to tear down the walls. Learn from each other, and we will have created a learning story that weaves around every student. So, how do you break down your curricular walls? Please share in the comments section below.